Home Articles Vintage Or Modern? I’m sure that sometimes my answers are not welcome news, but I can’t help that. I just tell it like it is, and link to other sources to backup what I’m saying. Something I often write in my emails, is my own philosophy about the purchase of vintage saxophones¹. While not necessarily profound, I thought it was worth sharing here, because some of it might resonate with some of you, and help you make a decision about that next, new-to-you horn purchase. I never buy a vintage horn with the eye to selling it again. I buy it with the intention of playing and keeping it for the long term. So if it needs work, I factor that into my original plan. I know that sometimes I will spend more on the combined restoration and purchase price than it would cost me to get another horn, but I go into that with my eyes wide open. I’m doing so for a reason. Usually the reason is that the particular sax in question—the one I’m planning on having restored—has a tone that is very different from all my other horns of the same voice. In other words, I would not knowingly restore a tenor for example, that sounds the same, or similar, to another tenor that I already have. The same holds true for any other voice of saxophone as well. I have extremely high standards for my horns. I use them as gigging horns, so all of them have to be ready to go out and solo and/or front a band on a moment’s notice. That of course costs much more than just having the horn be “playable”. Currently I’m facing a dilemma with an alto I have. Do I restore it? Do I not? If I restore it, it will cost me more than I can sell the sax for. The problem is, since the horn is currently not playable, I have no idea what the sax will sound like when it’s done. The few notes it can play are really not indicative of what its true tone will be once restored. I currently have 3 very distinctive alto voices, and a 4th would be lovely, but it needs to be totally unique. I think the biggest, single piece of advice I can give somebody is: Don’t buy a vintage horn unless you’re at least an intermediate player. 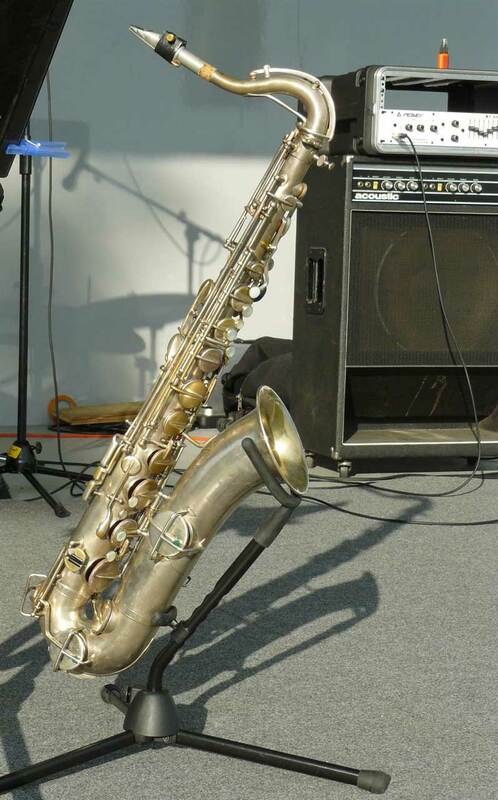 Vintage saxes are lovely in their own right, but they are not without their problems. Quirks in intonation and ergonomics are 2 of the biggest reasons why vintages saxophones are not for everyone. I always recommend that my beginning students start out with a modern horn. Once they have mastered enough of the instrument to understand it well, and have developed a good enough technique that they can play it over its entire range from pp to ff with decent fluidity, then they might consider a vintage sax as their next horn, instead of a modern one. However, the student would need to have an expressed interest in vintage horns. I certainly would never be the one to suggest that they consider buying one. With vintage saxophones there is also the pitfall of high pitch horns to watch out for. I recently received an email from someone who sent me photos of a lovely Pierret Super Artiste 47 baritone. The horn is gorgeous. The problem is, it’s HP. The person didn’t know that when they bought it a number of years ago. My Evette & Schaeffer bari shares a similar story. It too was bought by someone who didn’t know it was a HP horn, and it sat in its case for the last 60+ years. So while I have a predilection for vintage saxophones, I would remind everyone that they are most definitely not for all players. While online sources like eBay make vintage horns more accessible than ever before, they also open up the possibility for novice players to get themselves into trouble, by not knowing what they are getting themselves into. The best way to avoid this potential trouble, is to work with your saxophone instructor and figure out what to do. Don’t let online sources be your only resource. Online resources can be a really usefully augmentation to your real life resources, but they should never be a substitute for them. ¹ Just a clarification on language. 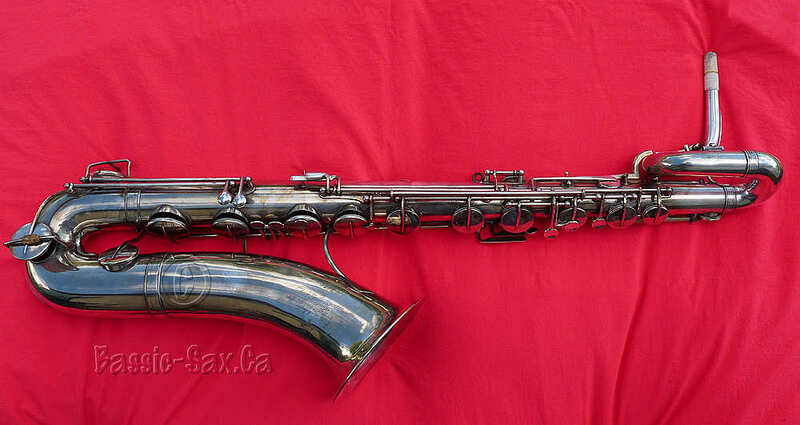 When I use the term “vintage” horn or sax, I am referring to an instrument that was built as a professional model, to meet what were deemed the professional standards of its day.